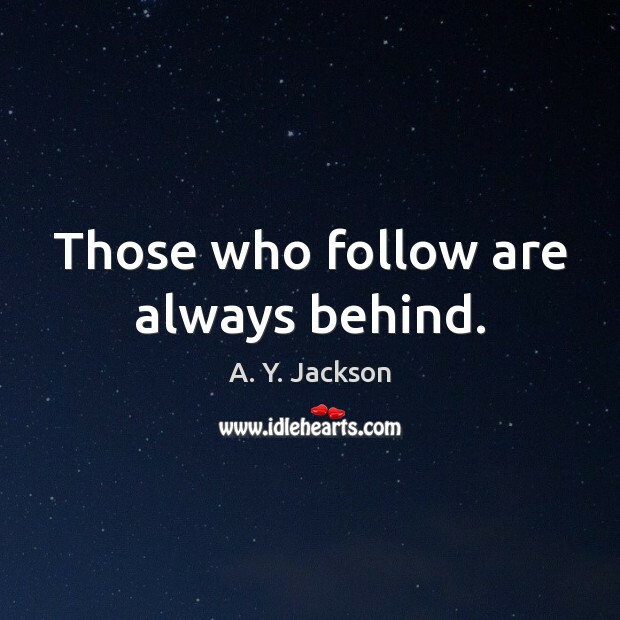 Enjoy the best inspirational, motivational, positive, funny and famous quotes by A. Y. Jackson. Use words and picture quotations to push forward and inspire you keep going in life! 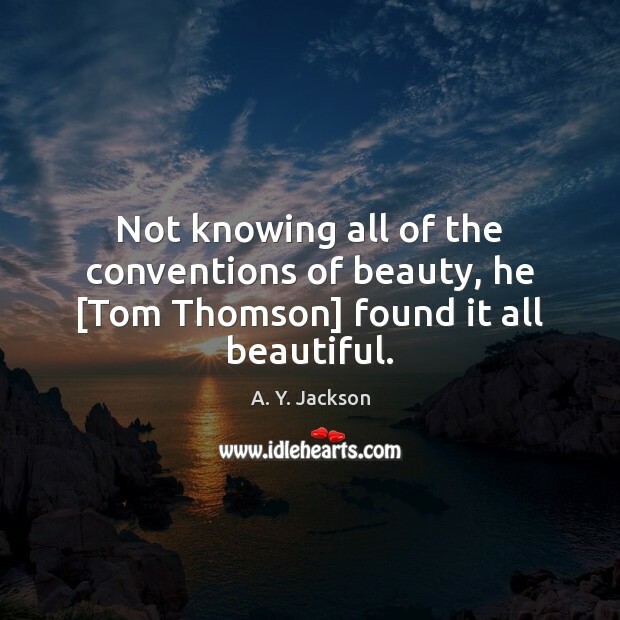 Not knowing all of the conventions of beauty, he [Tom Thomson] found it all beautiful. 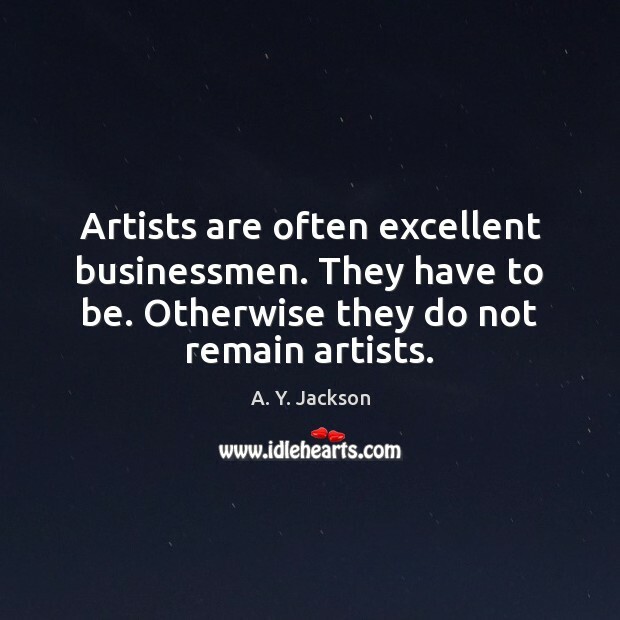 Artists are often excellent businessmen. They have to be. Otherwise they do not remain artists. Those who follow are always behind. 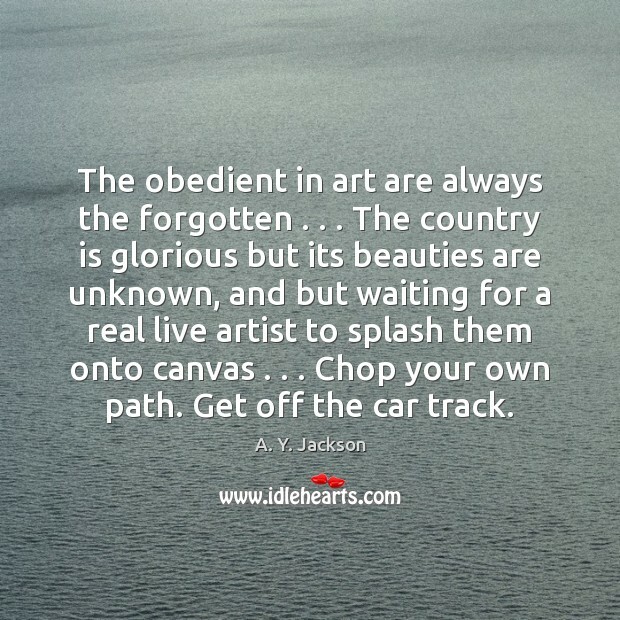 The obedient in art are always the forgotten . . . The country is glorious but its beauties are unknown, and but waiting for a real live artist to splash them onto canvas . 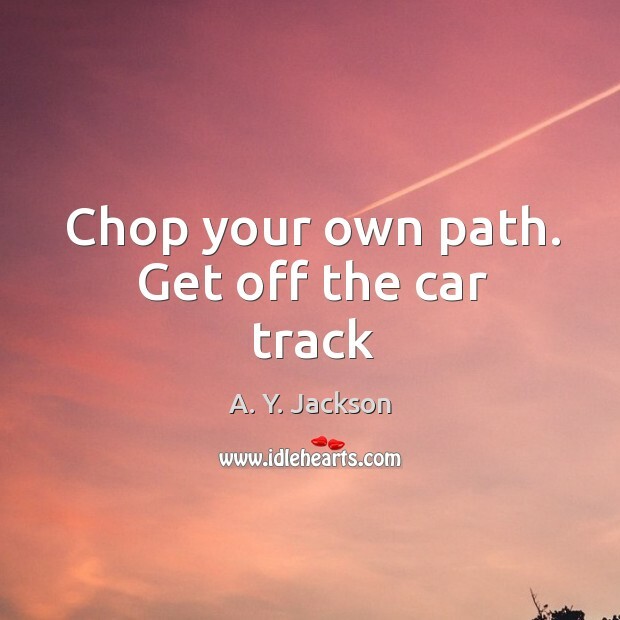 . . Chop your own path. Get off the car track. It's probably hard for anyone looking at my landscapes today to realize that I was once regarded as a rebel, a dangerous influence; that I've been told I was on the verge of insanity, that my painting was nothing but meaningless daubs. 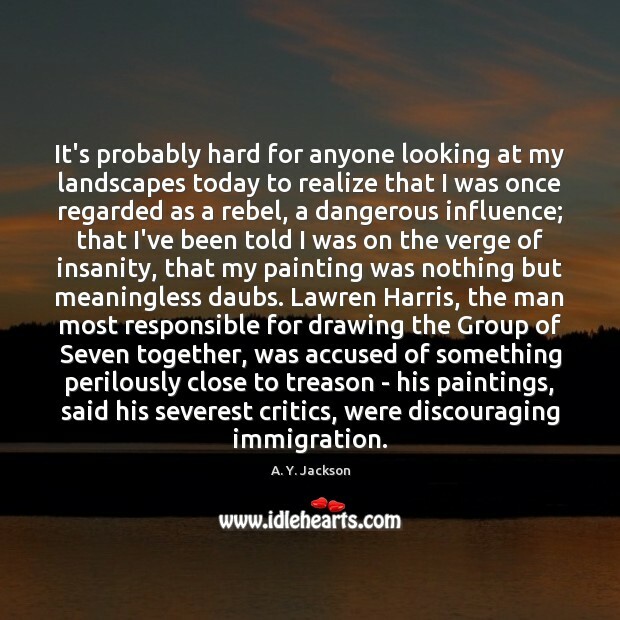 Lawren Harris, the man most responsible for drawing the Group of Seven together, was accused of something perilously close to treason - his paintings, said his severest critics, were discouraging immigration. 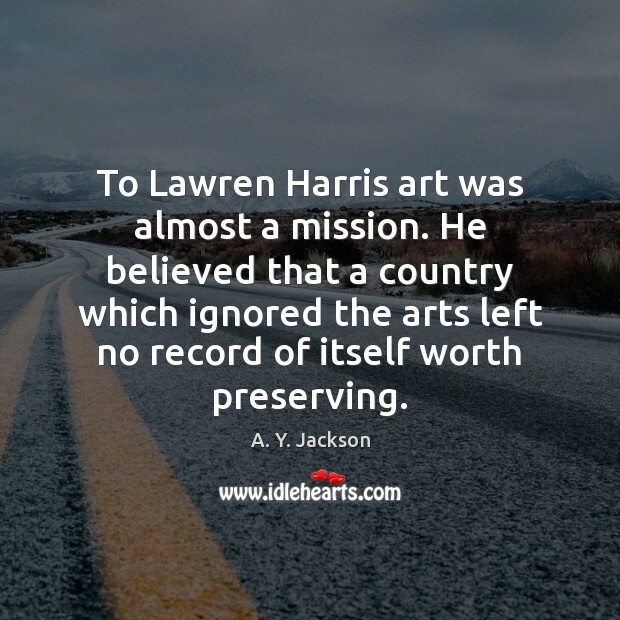 To Lawren Harris art was almost a mission. He believed that a country which ignored the arts left no record of itself worth preserving. 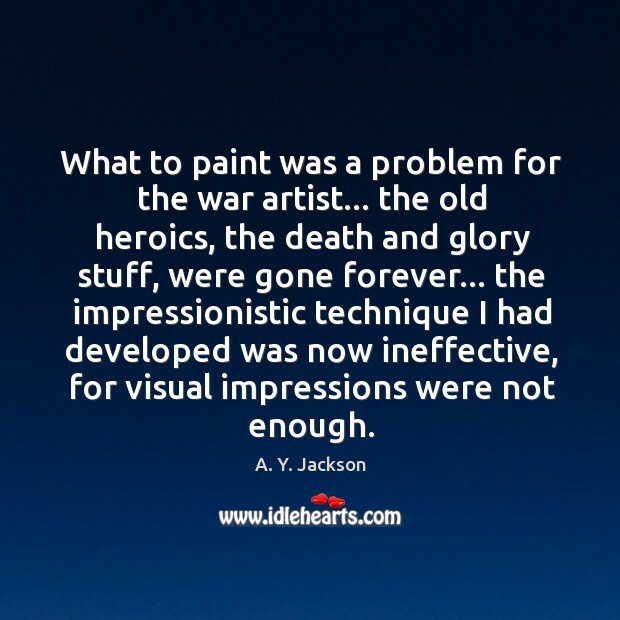 What to paint was a problem for the war artist... the old heroics, the death and glory stuff, were gone forever... the impressionistic technique I had developed was now ineffective, for visual impressions were not enough.